Another sensational cheap travelling packages from Costa Mar Travel Agency. you will be visiting a variety of unique and fantastic place in two cities that became an icon of Argentina tourism for eight days. The travel package tour will start from Ezeiza International Airport to the comfortable with charming scenery hotel. After take a shower and breakfast, Costamar travel agency will take tourists to various attractions and famous monumental in Buenos Aires. Plaza del Congreso, Mayo Squares, and San Martin are some of the main placesof interest in this tour. In addition to multiple destinations tourist destinations in Buenos Aires, tourists will be invited to go to other tourist destinations around the capital, such as Belgrano, Recoleta, San Telmo, La Boca and Palermo. This premium region is an modern, magnificent and luxurious area. Tres de Febrero, Lezama, and Puerto Madero be the next place to be visited by the tour participants. This area is the largest financial and commercial center in Argentine. You can be as much shopping for a variety of quality products in this area which is located at the center of Buenos Aires crowd. This travel tour activity around the Argentine capital area are closed by visiting classic shades places namely the Museo Evita and Recoleta Cemetery. After seeing the aesthetic side of Buenos Aires, Costamar travel agency will invites you to enjoy a delicious dinner treat accompanied with amazing tango show. Romantic dinner in the evening accompanied by traditional music argentina will create memories that will never be forgotten. In the next day, travelers will visit one of the fascinating beautiful tourist places in Argentina, Iguazu Falls. How to get to Iguazu City is reached by using the flight way. Costa Mar Agency has taken care of all the administrative hassle, so you just ready to go and have fun. The charm of this stunning beauty will make tourists stunned when they arrived at the waterfall with 275 lines of this crescent-shaped. In addition, tourists will be invited to visit some parts of the unspoiled and outstanding Argentina National Park. You can also try to join the mountain sights tour by the latest Ecological Train. 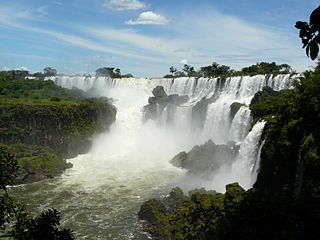 Other Iguazu tourist destinations like the Brazilian National Park will also be visited. Travelers can explore into the subtropical forest that surrounding waterfall. You will also have the opportunity to look more closely some various rare species that live in here, such as orchids, begonias, ferns, butterflies, and birds. Once satisfied to see the show of this nature things, the tour package activities will continue heading back to Buenos Aires. Day six starts with a visit to the town of San Isidro for sail down the River Lujan. Superb views Plata Delta estuary will be a destination that fills up during the day. After that, you can be free to go wherever you want. It’s recommended to shop, relax, or take available optional tours by costa mar travel agency. Package holidays with family and children are very enjoyable with a Costamar travel agent. Some starred Hotel was selected by the travel agent is suitable for various types of alone, family, couple, or carry a child travelers. Duomi Plaza, 725 Continental Hotel, Ker Recoleta and La Aldea de la Selva is a few hotels that will be main accommodation. The price of the Iguazu and Buenos Aires tour package in 2014 already includes airport transfers, tango dinner show, city tour, Aerolíneas Argentinas flight ticket, delta half day tour package, air & hotel taxes, hotel accommodation, daily breakfast, and a medical assistance card.